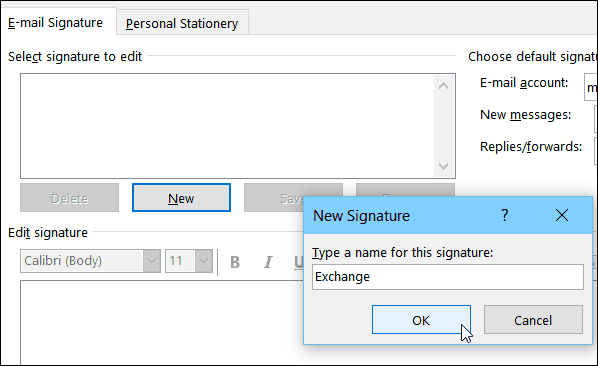 Adding a signature in the desktop version of Outlook hasn’t changed much over the past few versions. 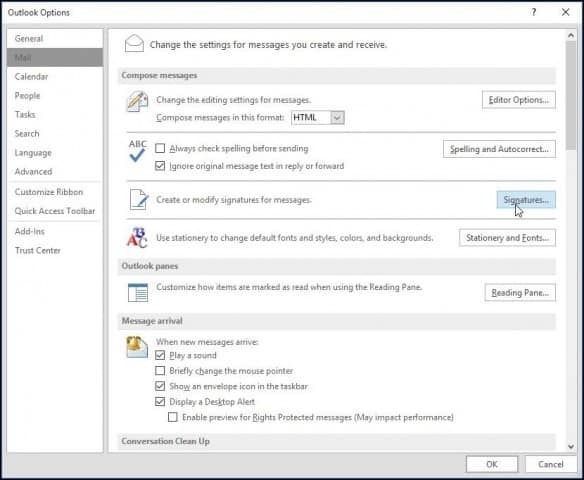 But, if you’re new to Outlook 2016, here’s how it’s done. You can personalize your emails with a signature that provides essential contact information that recipients can use to engage with you. Think of it as a way of attaching a business card to every new message or reply you send. You can also have multiple signatures for different accounts. 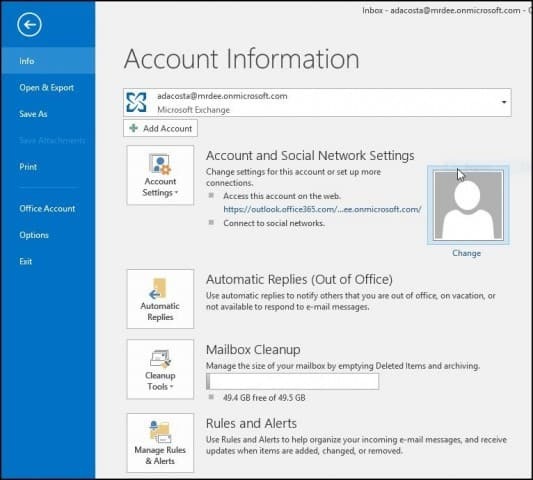 Using Outlook in Office 2016 or Office 365, we will show you how to set one up. First, launch Outlook 2016 then select File > Options. Next select the Mail tab and then Signatures. Select New and type in a name for the signature you’re creating. Enter the information you would like to include with your email signature. There are plenty of formatting options there, i.e. adding links, changing fonts, adding an image. Each time you compose a new email or reply, it will automatically add your signature. You can also choose your signature on the fly depending on the person you’re emailing. Just select the Message tab then click Signature from the Include group. The process hasn’t changed much through the different iterations of Outlook over the past few years. 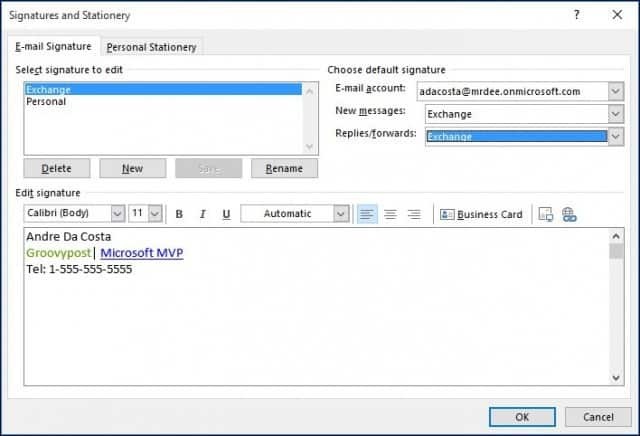 But, if you’re new to Outlook 2016, now you’ll know how to create a quality signature, which is of particular importance in business. 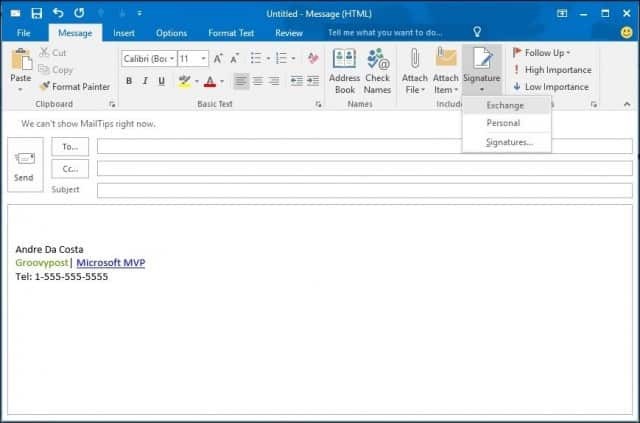 If you’re running an older version of Outlook, check out one of our tutorials below for adding a signature to your version. Just upgraded to Outlok 2016 and my signatures are still there but only in plain text. When I try to edit them they are formatted with font and size, etc – just not in new mails or replies. I have created one signature but I want to create 4, one with my full name, address & phone no. within Australia, one for international use, one for sending forwards of jokes (“please deleted all senders to avoid spam”) and another for announcing my role in a certain organisation with just a contact phone no. My Outlook 2016 does not look like the screens you show. It seems to have much less functionality. I can only add one signature to attach to all my email addresses. Not sure what version of Outlook I have. It came with my new Acer computer. What do I need to do to get the version of Outlook you show? I used ZippySig to make my signature, worked pretty well. If you have any trouble with your signature, make it in Word first, then copy-paste it. It may not look right in the preview, so try “New Email” to see what it really looks like.